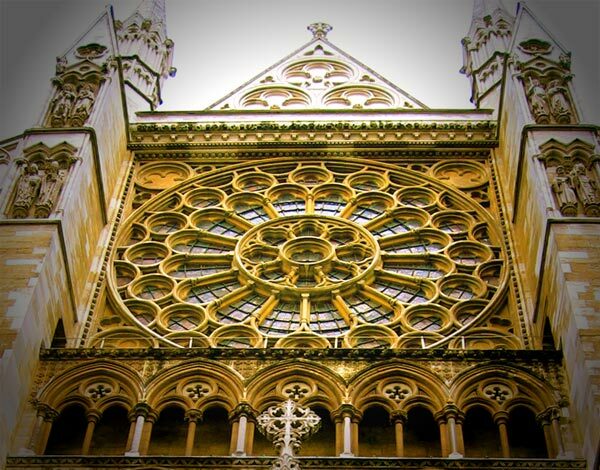 In 1579, Elizabeth re-established Westminster Abbey as a 'royal peculiar' - a church responsible directly to the sovereign, rather than to a bishop - and made it the Collegiate Church of St Peter. That royal connection had largely protected the abbey during the worst excesses of the dissolution of the monasteries in 1534. Text copyright © 2002 P L Kessler and the History Files. An original feature for the History Files. Go back, return home, or visit the full gallery page for Westminster Abbey.